If you have a hop or tour in progress/formation and would like to have it included in my list please email me with the details. My list focuses primarily on Stampin’Up! but I’m always happy to put other inspiration out there as well. I’ll try to update these posts month by month so you can see what’s on the horizon. Some of the links aren’t working correctly for some unknown reason so you might have to page down to the bloggers June 8th/9th entries since the post link is taking you to the home page. 1. Madeline Morcelo. Madeline morcellation. Fort Mitchell, Alabama. Fort Mitchell, Alabama. 2. 2. Marisol Gutierrez. Marisol Gutierrez. Hamilton, New Jersey. Hamilton, New Jersey. http://atouchofsol.blogspot.com/ http://atouchofsol.blogspot.com/2010/06/inkspired-tour-de-junio.html3. 3. Carolina Venegas. Carolina Venegas. Miami, FL. Miami, FL. 4. 4. Monica Weaver. Monica Weaver. El Prado, NM. El Prado, NM. 5. 5. Martha Lucia Gómez. Martha Lucia Gomez. Miami, FL. Miami, FL. 6. 6. Amanda Morris. Amanda Morris. Acwoth, GA. Acworth, GA.
7. 7. Marcia Santiago. Marcia Santiago. San Juan, Puerto Rico. San Juan, Puerto Rico. 8. 8. Rosemarrie Gonzalez. Rosemarrie Gonzalez. Fremont, CA. Fremont, CA. 9. 9. Zeila Perez. Zeila Perez. Caguas, Puerto Rico Island. Caguas, Puerto Rico Island. 10. 10. Keith Rueda. Keith Rueda. Miami, FL. Miami, FL. 11. 11. Rosaly Rentas. Revenue Rosaly. Caguas, PR. Caguas, PR. 12. 12. Angie Valle-Peters. Angie Valle-Peters. Miami, FL. Miami, FL. 77. 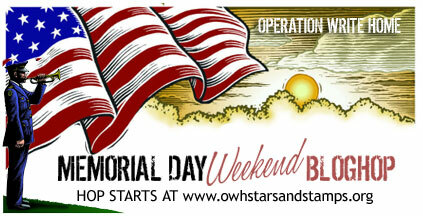 OWH, Hero Blog – http://www.owhheroblog.org/2010/05/memorial-day-bloghop-superanyhero-cards.html – cards created by soldier and a free download of one. 136. Susan, sbartist : painting in the dark – http://sbartist.blogspot.com/2010/05/operation-write-home-memoral-day_29.html – a super story. July 2009 Tour – favorites from the new Fall and Winter Idea Book and Catalog! 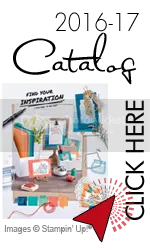 Check out the new Occasions mini catalog products and some wicked inspiration on the latest preview tour from a terrific set of bloggers. The 20th of every month is now officially the tour date for a terrific group of stampers and swappers known as the Control Freak Stampers. The Tour goes by the name of Tour de Freaks Blog Tour and is strictly SU product. 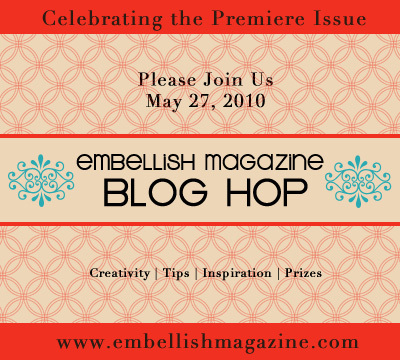 Another tour from Stampin’ Addicts bloggers featuring the product from the 2010 Sale-a-Bration promotion. And for the first time ever Stampin’ Up! will be allowing you to substitute some current catalog stamp sets as well. This tour will feature a few of those choices as well. 2) Stella – http://www.stellarstamps.com/stampin_and_scrappin_up/2010/01/welcome-to-the-stampin-addicts-saleabration-blog-tour-featuring-only-stampin-up-products.html – Happy Moments – details to follow on 1/19 and blog candy drawing. A group of talented Stampin’ Up! Demonstrators are ready to show off their paper crafting skills with inspirational ideas for Valentine’s Day using Stampin’ Up! products! 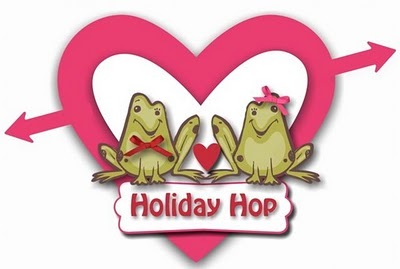 Join them on Tuesday, January 12, 2010 at 5:00 AM CST for a Holiday Hop as they showcase all that Stampin’ Up! has to offer—from rubber stamps, designer paper, embellishments and more! Mark your calendar now. You don’t want to miss out! Another fabulous tour from Stampin’ Addicts bloggers featuring the product from the 2010 Occasions Mini promotion. Tour de Freaks December Tour was cancelled. Check back in January for more inspiration. Stampin’ Addicts is hopping again! Stampin’ Up! recently announced that they are retiring the majority of the stamps currently listed on the Dormant List as of January 4th. To see these stamps with names, order numbers and pictures you can download my Scribd PDF dormant document in the side bar. 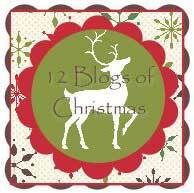 To see what you’ll be missing if you don’t add these to your Christmas Wish List 10 phenomenal blogging Demo’s will be showcasing several of the sets. The hop starts Saturday December 5th and runs through Dec. 6th. This 3rd hop sponsored by these talented stampers will focus on Winter and Christmas as they showcase all that Stampin’ Up! has to offer – from rubber stamps, designer paper, embellishments, and so much more. As with many tours there was a last minute drop out so 11 is the correct count for this set. Cheerio friends and I hoped you enjoyed the view from overseas. Featuring last minute Gifts, Decor, Packaging and of course Cards! You will want to return each of the 4 days to see the latest postings. This month’s theme is “Christmas Gifts”. Hop on over to one of the blogs from these incredibly talented ladies! No matter where you start you can circle through the entire list until you end up right where you started. then just click on the tour badge in each blogs sidebar to advance to the next blog stop. Stampin’ Addicts sponsored blog carnival featuring Stampin’ Up’s My Digital Studio. Each “Party Blog” will showcase different ideas on how to use My Digital Studio. You’ll see how to use MDS to plan traditional stamping projects, how to create hybrid projects (that use both traditional and digital features) and how to create completely digital projects. JulieA/Julie: Wanna Little Music with Your Slideshow? Kelli: Side-by-Side Test: Is it Actual or Is It MDS? Octobers tour features Fall, Halloween and Thanksgiving themes with the occasional seque into Winter. 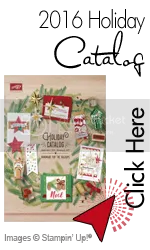 New set of tours scheduled were announced on Ann Schach’s blog – http://www.stampinchic.com/ – Focusing on the three approaching holidays (Halloween, Thanksgiving/Fall and Christmas/Winter), the hop presented by the Stamping Pretty Pals will provide inspiration using Stampin’ Up! products. This current cruise features product from the current Stampin’ Up! Holiday Mini Catalog and are presented by 11 talented bloggers. This cruise is circular so you can jump in at any point and make your way around the compass in any direction. On a side note check out this post from the home page with links to Pirate lingo and more – after all who knows who you’ll meet on a crusie right?? This month’s Control Freak’s Blog tour features Fall, Halloween and Thanksgiving. There are 15 stops along the way and you can start and end at your own convenience as the links will be left in place. 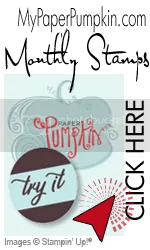 Stampin’ Addicts Holiday Mini Catalog Blog Tour will run from noon Saturday August 29th through midnight Monday, August 31st! And as always I’ll post the full itinerary here once the tour begins so that if you miss any of the 22 blog stops along the way you’ll be able to return again and again for inspiration! This tour will be showing you spectacular projects featuring new items from the new Stampin’ Up! Holiday Mini catalog due to be released on September 1. Stamps, Designer Papers and so much more including the new Build a Bear dies and stamps! You won’t want to miss the inspiration so set aside time to take the full tour. Remember the links are broken when the tour ends so you will have to come back here when it’s time for a refresher. 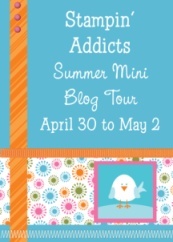 This month’s Control Freak’s Blog tour features the new In Colors for 2009-2010. There are 13 stops along the way and you can start at your own convenience as the links will be left in place. It’s all about the bacon. Somehow, a Twitter discussion spun out of control (actually, most of them do, but that’s another post for another time), and now we have a Bacon Blog Hop… I kid you not. Well known blogger and offbeat Twitter maniac Lydia from Understand Blue has been credited with this latest bit of creative craziness. Here’s the upcoming list (so far) of blog hops and tours still to come this month. Most of which will feature Stampin’Up! product exclusively. http://cattycruise.wordpress.com/ – At this link you will find the blogs that will be featured on this tour so you can get a preview of these bloggers work and since bloggers typically step it up for tours etc. make sure and check back the day of the tour. Some of my favorite bloggers (yours too I bet) are participating in this tour and this tour site is offering interviews with all participants and looks at some of these bloggers favorite projects as well as general info on the tour. Check out this wonderfully informative site. And if any of you are interested in starting your own dedicated tours or blog hops the experienced Directors of this Tour are also now offering their services to others who want to offer a tour but don’t have the tech skills or know how to pull it off. Information on this can also be found on this site. stamping, punching, Big Shot and inking (coloring) wood sheets in multiple ways. Weaving a basket with strips. Basket weaving video to follow. Shadowbox butterfly exhibit, quad fold card (shutter card). Instructions to follow later in the week. Stop #30 Kim (s1itcher46) — It’s a Sign — Stitchin’ N Stampin’ on Paper – http://stitchinnstampinonpaper.blogspot.com/search/label/Stampin%27%20Addicts%202009%20Bon%20Voyage%20Blog%20Hop. 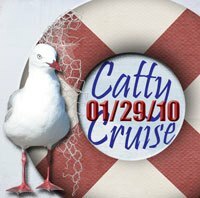 On 01/29/10 the Catty Cruise Crew will highlight the bounty of treasures from both the Occasions Mini Catalog AND Sale-a-bration.